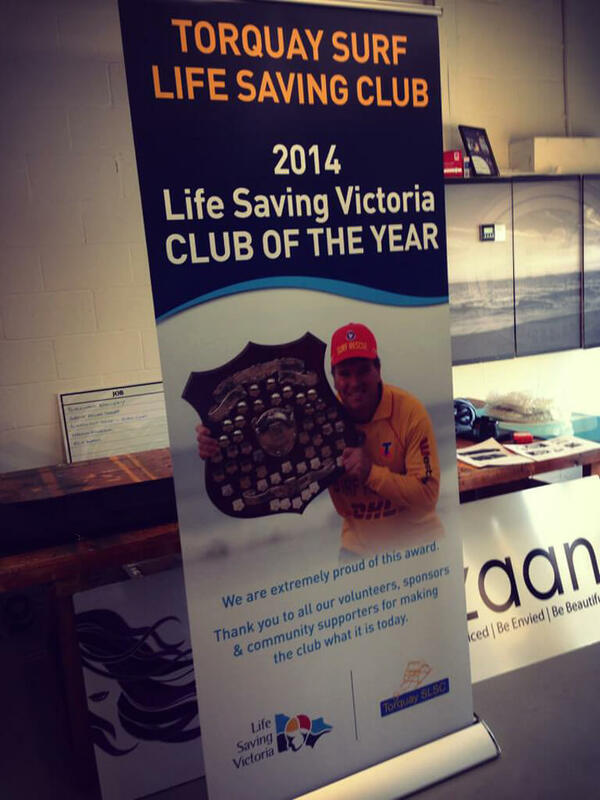 Talk to MCG Signs about pull-up banners and pull-up banner stands in Geelong, Torquay and the Surf Coast. 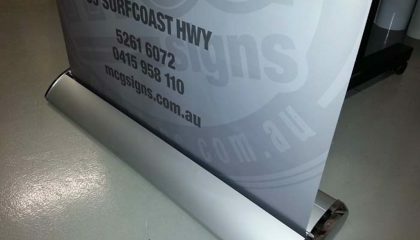 A pull-up banner will create an impression with your company logo and is the ideal solution for fast, high-impact exhibition display stands for corporate meetings, trade shows, markets, retail displays and shopping centres. 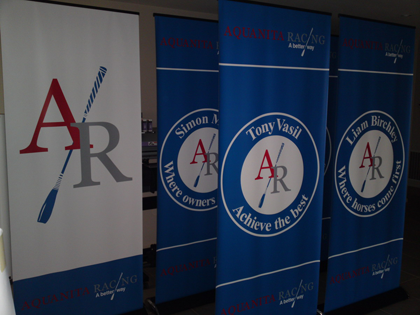 The pull-up banners are quick and easy to use, retract into a sturdy base and come with their own carry bag for safe and secure transportation. 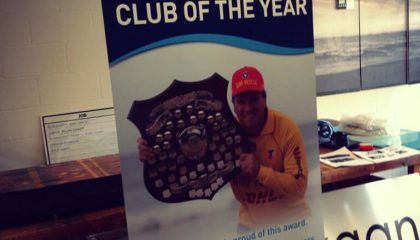 MCG Signs are happy to be offering clients the Q Series Retractable Banner Stand with full digitally printed artwork and a padded carry bag for $360 excluding GST. Join multiple units together – Both side plates of the Q Series body are neat and flush with embedded magnetic blocks. 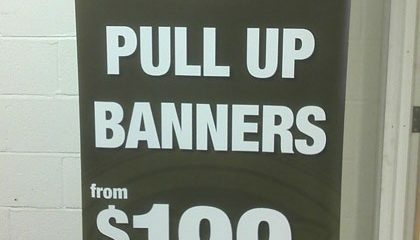 This allows multiple stands to connect side-by-side easily to form an extended wide display when needed. 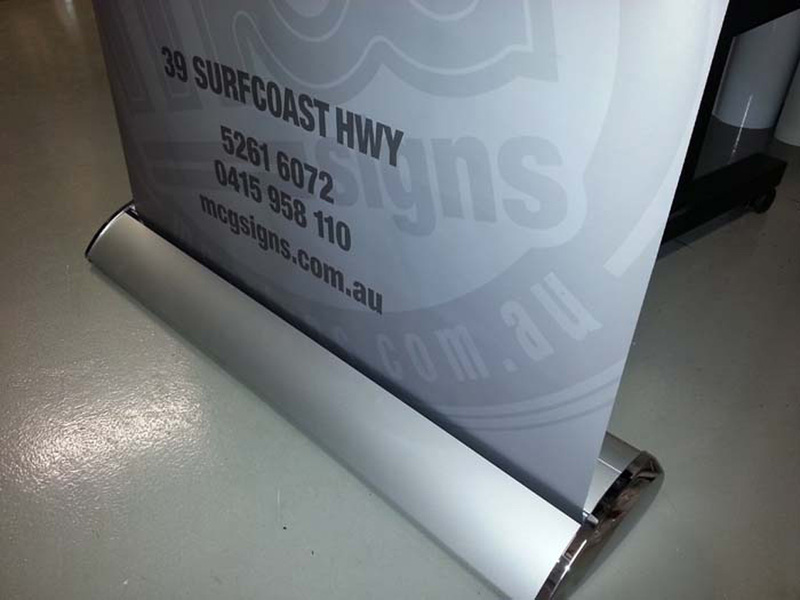 The top bar also comes with magnetic connectors to form an aligned display. 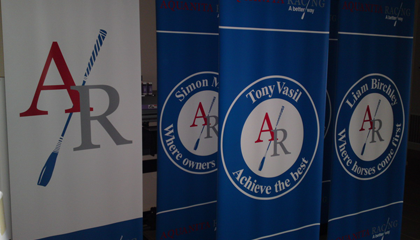 Adjustable to any height range – The Q Series is equipped with a twist-lock telescopic pole which allows the banner to be displayed at any height between 84cm to 2.4 metre. 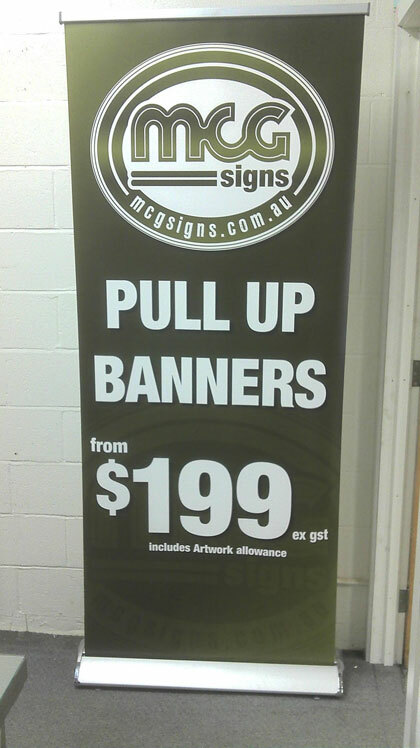 It can easily be used in places with height restrictions such as shopping centres etc. Perfect tension – Last but not least, the Q Series has a very unique tension control mechanism that totally eliminates the issue of accidentally losing spring tension.